Winner one month ago at the Asian Junior and Cadet Championships in Myanmar, Kuai Man added to her list of titles in Varazdin on Sunday 16th September; she secured gold in the Cadet Girls’ Singles event at the 2018 Croatia Junior and Cadet Open, a day that proved successful for China as well as for Chinese Taipei. 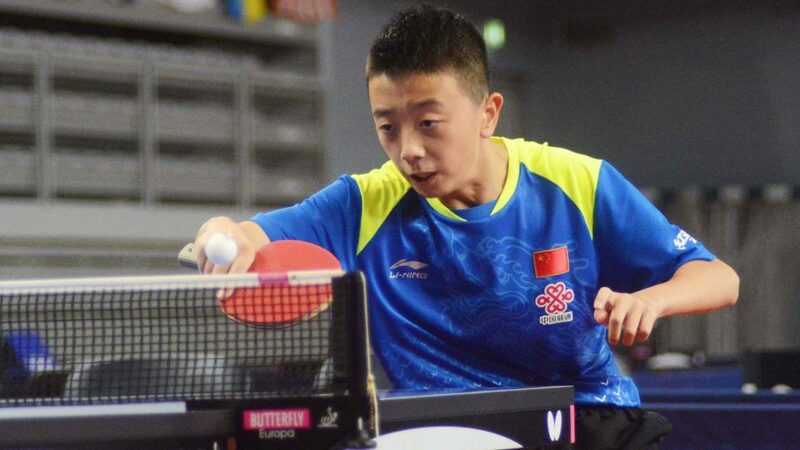 In addition, Chen Yuanyu reserved the top step of the Cadet Boys’ Singles podium, whilst both the Cadet Boys’ Doubles and Cadet Girls’ Doubles gold medals finished in the possession of Chinese Taipei. At the final hurdle of the Cadet Boys’ Singles event, Chen Yuanyu beat colleague Lin Shidong (11-6, 11-6, 11-7), having earlier in the day at the quarter-final stage accounted for Romania’s Iulian Chirita (12-10, 11-5, 11-8) and one round later Chinese Taipei’s Kuo Yu-Liang (11-8, 11-7, 11-6). In the opposite half of the draw, in the last eight, Lin Shindong had overcome Li Hsin-Yu, like Kuo Yu-Liang from Chinese Taipei (11-6, 6-11, 11-7, 11-9); prior to ending the hopes of compatriot, Huang Youzheng (12-10, 9-11, 13-11, 12-10). Silver for Lin Shindong, bronze for Huang Youzheng; in the Cadet Boys’ Doubles competition for both it was the latter colour. In harness, they experienced a straight games penultimate round defeat at the hands of Kuo Hsin-Yu and Wang Guan-Ru (11-9, 12-10, 11-9), the champions elect. Later, in an all Chinese Taipei final, they accounted for Kuo Yu-Liang and Tsai Li-Yang (11-5, 11-9, 11-9). Impressively, in the counterpart semi-final, Kuo Hsin-Yu and Wang Guan-Ru had ended the progress of Romania’s Calin Drenea and Daniel Moldovan (11-8, 11-2, 11-3). A performance of quality from Chen Yuanyu, it was the same from Kuai Man. In the later rounds, she accounted for the Czech Republic’s Helena Sommerova (11-4, 11-8, 11-3) and Chinese Taipei’s Huang Yu-Jie (11-5, 11-6, 15-13), prior to securing the title at the final expense of Prithika Pavade of France (5-11, 11-7, 11-8, 11-7). Equally, imposing, in the opposite half of the draw, Prithika Pavade had recorded a quarter-final win against Germany’s Annett Kaufman (11-7, 11-9, 11-7), before in the penultimate round halting the aspirations of Russia’s Elizabet Abraamian (12-10, 11-5, 13-11). The top step of the podium for Kuai Man, in the Cadet Girls’ Doubles event it was the third step. Partnering colleague Xie Jiatong, the duo experienced a semi-final defeat at the hands of Elizabet Abraamian and Russian colleague, Liubov Tentser (11-5, 8-11, 11-7, 11-8). Alas for the Russian duo it was not to be gold; they were beaten in the final by Huang Yu-Jie and Tsai Yun-En (11-7, 11-5, 11-5), the semi-final winners in opposition to the combination of the host nation’s Hana Arapovic and the Czech Republic’s Linda Zaderova (2-11, 11-7, 11-3, 11-4). Play concluded in Varazdin; attention now turns to Belgrade, the 2018 Serbia Junior and Cadet Open commences on Wednesday 19th September.